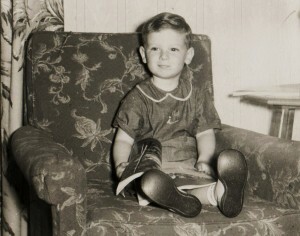 James Lloyd Davis, 3 yrs old, circa 1948, reading Saturday Evening Post. As a young child, long before I’d been taught to read, I would pick up books and sit in a chair, look quite as though I could read, even to the point of turning pages slowly. If anyone cared to listen, I would tell them a story from whatever book was in my lap. Of course, I could not read and the story in the book had no relationship to the one I’d relate, but I sincerely believed I was reading it. I write stories now and write from a sense of need to do so, but reading is my lifelong passion. Though I’d hardly call myself a critic, I know what I like, but long ago abandoned the practice of explaining why I like the things I like. Sometimes the beauty of Fictionaut offerings is purely raw in the emotional sense, found beauty and truth presented entirely without guile. Yes, I can appreciate humor and clever writing, but when I recognize quality that I cannot so easily define as entertaining, amusing or clever, I am pleased beyond measure. Perhaps the key to that curious finesse is simply the indefinable essence of attraction. I quickly said yes when Michelle asked to do this, but discovered it was a difficult trip to read so many posted stories over a two week period and choose so few to highlight. Even more difficult is the task of explaining my reason for the choices. In a large part, I suppose, it’s recognition. You love a story because it’s touched you in some personal way. You love it. Maybe others will see the quality therein, but you’re damned if you can easily tell them what it is that makes a story or a poem so damn good. A human certainty, perhaps, or a universal chord that resonates in the human heart. Dallas Woodburn’s “Goosepimples” is the perfect example of the stunning work you don’t expect to find until you stumble into it as I did, clicking through the mix, looking for gold. Coach Blake is everyman, just doing his best. He pays some heavy dues when doing the right thing is the wrong thing to do. Innocence is a world of half-light and shadow, subject to interpretation, ultimately. You must read this story. Glynnis Eldridge’s offering, “Dear Joe”, is about something we all experience: regret. Sins of omission… “If only I’d called….” “I shoulda sent that (letter, email, whatever)” Some might say that regret is self-serving, existential, that it places our guilt on an altar, but everyone knows the pain of doubt. Speaking of guilt, Foster Trecost’s story “Man In Hiding” takes a walk down that hard, dark street. Foster, a long time regular at Fictionaut, who writes some excellent short fiction, says it’s unpublished. Someone should correct that. Barry Basden gave us a very short and powerful story in “Rags” I know the principal idea of Editor’s Eye is to choose overlooked gems, but even though it did very well, was not overlooked… if you haven’t read it some may have missed it. Follow the link and see why it shines. In the vein of poetry, I have to point out one that forced me read it over and over again to try and invoke, summon, conjure up a meaning of sorts, a key to the vision. I failed, but I do like the poem. I like it a lot. Mark Reep’s “Black House”. Go read it and see for yourself. There is no pretense in Adam Sifre’s ghost story “Christine” but there is charm and a lovely innocence within. James Lloyd Davis resides in Ohio with his wife, MaryAnne Kolton, who is also a writer. James is presently working on two novels and has published some short fiction and a couple of poems in numerous journals and anthologies in the US, Canada, Australia and the UK. Editor’s Eye is curated by Michelle Elvy (Fictionaut profile here). She writes and edits every day at michelleelvy.com, and readers can also find her editing Blue Five Notebook (with Sam Rasnake) and Flash Frontier. Nice, James. You done good. Will spend time with these selections. Good gathering, James. Enjoyed your commentary and your selections, James. I’m saving the Sherwood Anderson story for later, thanks for that, too. Thanks for the comments. Sherwood Anderson was the first of the finest modern American short story writers. You can’t go wrong with anything he wrote. James, I enjoyed this excellent Editor’s Eye presentation and your selections are representatives of the Editor’s Eye’s intent: to showcase fine writing we may have overlooked.